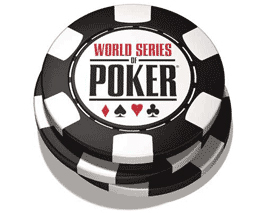 Finally, the Main Event of the World Series of Poker 2015 (WSOP) recover its breath, the 3rd Day 1 was the right. In all, the total field reaches 6,420 participants generating a prize pool of more than $ 60 million. It is the eighth largest field of participation in the history of this great poker tournament. Therefore, like last year, the winner will walk away with $ 7.6 million in his pocket while the other finalists will earn at least $ 1 million. If the first two qualifying days were calmer, the Day 1C registered a record field. The organizers have indeed registered more than 4,000 entries on this day. This final part of the Day 1 was also marked by the participation of a large number of poker stars. As usual, Phil Hellmuth who holds the record number of bracelets made a triumphant entry. He immediately headed to the No. 256 table of the poker room where Phil Ivey was. News about the presence of the two Phil on the same table were quickly spread throughout Rio. Before the break, Hellmuth had about 60,000 chips in hand, while Ivey had around 15,000 ones after losing a pot. Ivey was therefore in a rather delicate situation. But both have managed to qualify for the following of the competition with 4,387 other survivors. John Gorsuch is leading temporarily. He is the chipleader of the Day 1C. He has 198,100 chips in hand. Ivey has 22,350 chips, while Hellmuth finished the day with a stack of 79,725.